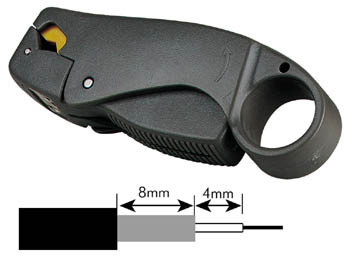 Coax cable stripper with 3 adjustable knives. Strips RG-58 / 59 / 62 cables. Also removes the outer insulation.